The United States and Russia suspended their obligations under the Intermediate-Range Nuclear Forces (INF) Treaty on Feb. 2 after months of failed talks and years of attempts by Washington to bring Moscow into compliance with the landmark arms pact. President Donald Trump announced his intent to withdraw from the treaty in October last year. Since then, Russia failed to comply with requests to destroy its 9M729 ballistic missiles, which the United States says violate the treaty. Russian President Vladimir Putin said his country will likewise suspend its obligations under the treaty and will start developing new missiles. Putin made the announcement on Feb. 2, the day that U.S. officials said Washington would serve Moscow and related parties with the official withdrawal notice. U.S. President Ronald Reagan and Soviet General Secretary Mikhail Gorbachev signed the INF treaty in 1978; the pact prohibited both nations from possessing both conventional and nuclear-capable short- and mid-range ground-launched missiles. 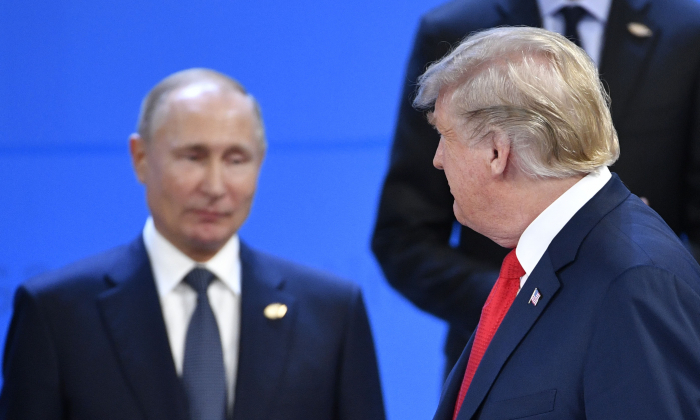 Putin’s comments came just hours after NATO Secretary Jens Stoltenberg told the broadcaster that all other European countries supported the United States. “All [European] allies agree with the United States because Russia has violated the treaty for several years. 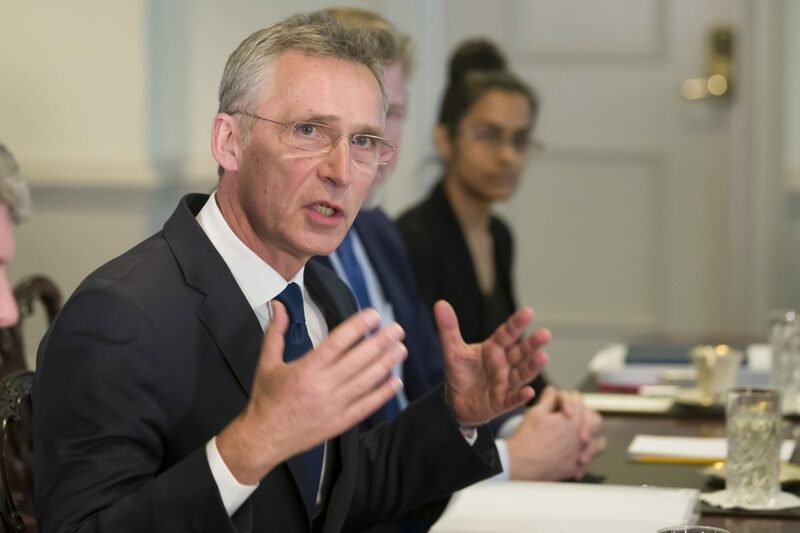 They are deploying more and more of the new nuclear-capable missiles in Europe,” Stoltenberg said. NATO said in a statement Feb. 1 that it was backing the United States. “Unless Russia honors its INF Treaty obligations through the verifiable destruction of all of its 9M729 systems, thereby returning to full and verifiable compliance before the U.S. withdrawal takes effect in six months, Russia will bear sole responsibility for the end of the Treaty,” the NATO declaration states. Under the terms of the treaty, the withdrawal by the U.S. is effective 60 days after the service of the withdrawal notice. U.S. officials made more than 30 attempts over the past six years to bring Russia to compliance. 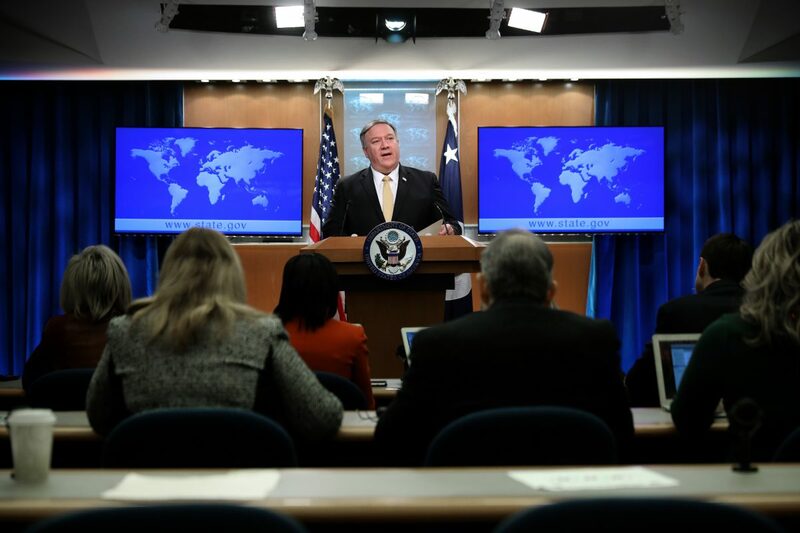 Secretary of State Mike Pompeo said Feb. 1 that Moscow has refused to take any steps to comply with the requests. In December, Pompeo gave Russia 60 days to return to compliance with the treaty. He noted at the time that European allies have lobbied for the additional time in order to mount a diplomatic campaign to return Russia to compliance. The United States alleges that Russia’s 9M729 missile is in violation of the INF treaty because it operates in a prohibited range. The treaty prohibits Russia and the United States from deploying ground-launched missiles with ranges of 300 to 3,400 miles. Russia denies the allegation, saying that the missile’s range is just short of 300 miles. Washington asked to test the missile’s range, but Moscow refused and offered a testing scenario that U.S. officials found unacceptable. Trump said that the United States will now move forward to respond to Russia’s deployments. “We will move forward with developing our own military response options and will work with NATO and our other allies and partners to deny Russia any military advantage from its unlawful conduct,” Trump said. While Russia and the United States were bound by the treaty, at least 10 other nations developed ballistic missiles in the prohibited range. All of the nations are geographically positioned to strike Russia but not the United States, a scenario that has drawn years of complaints from Moscow. The complaints turned into non-compliance. According to U.S. intelligence, Russia began developing the nuclear-capable 9M729 in the mid-2000s, flight-tested the missile in the range prohibited by the treaty and deployed several battalions on its territory, all in violation of the INF. 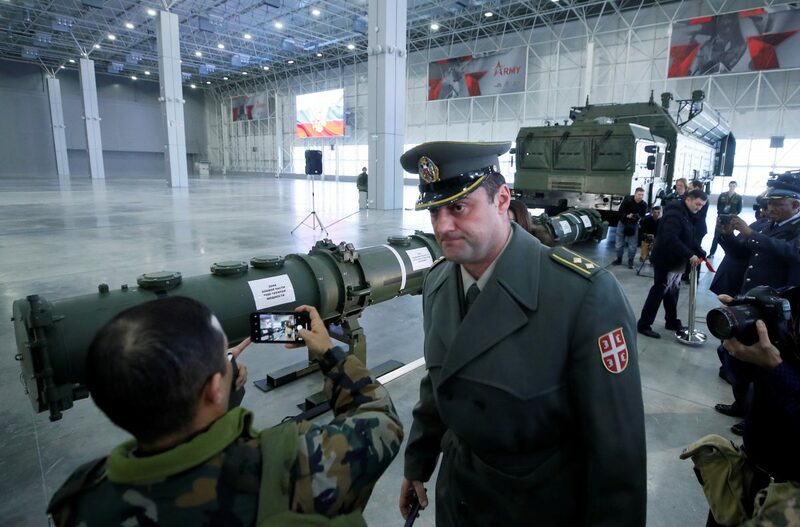 China has developed a formidable arsenal of missiles that the U.S. and Russia have been barred from possessing under the treaty, a strategic reality that concerns both Washington and Moscow. Trump has mentioned that he is open to an arms pact that includes China. U.S. diplomats have attempted to bring China into the INF on several occasions; each attempt has failed.